When we hear the word ‘addiction,’ our minds often go to substance abuse: addictions to things like alcohol, cocaine, or heroin. There is another substance that also provides sustenance to those who are addicted to it, though–and that substance is food. While it may be hard for some to wrap their heads around heavy emotional eating and food addiction, it exists, and should be recognized as a difficult and tumultuous journey, as much as any other. 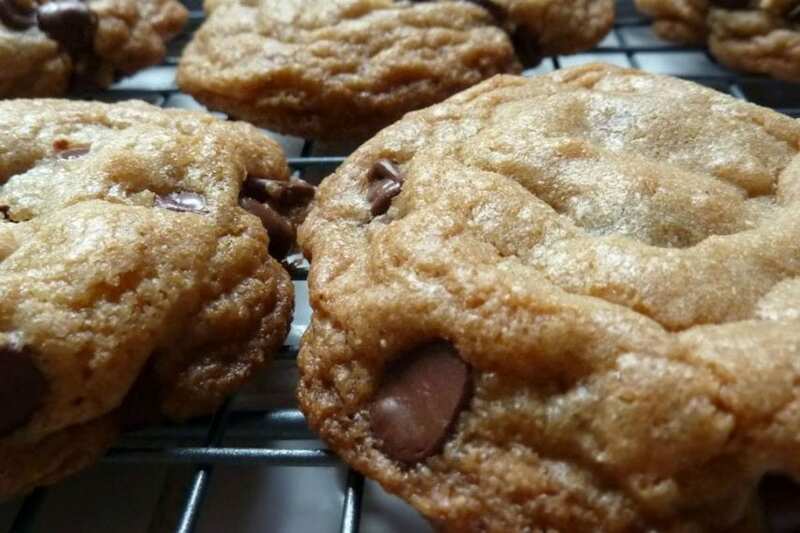 Many people might think, “I just LOVE chocolate chip cookies. I’ve eaten a few every night for the past week and a half.” Well, for starters, everyone loves chocolate chip cookies, and two cookies a night is hardly an addiction. It is hard for some people to understand that a real addiction to food is much, much more than a simple craving–it is an uncontrollable compulsion. You might sometimes feel as though food dictates your every move; you are unable to focus your attention or maintain your moods without it. Even if you wanted to explain it to people, you know that they wouldn’t truly understand the guilt and shame that accompanies your addiction. Having an addiction to food is much different than other addictions in one very simple way–you need food to survive. You cannot physically remain alive unless you eat. Human beings don’t need alcohol to live. We don’t need hard drugs, caffeine, or nicotine to exist, but we simply need food. Admitting that you are unable to have a normal relationship with a natural, primal, necessary action, especially when it seems like everyone around you can, is almost impossible. It also intensifies your shame. With other addictions, treatment is primarily centered around abstinence from the abused substance–and that, quite obviously, is not the same with eating. An unbalanced and controlling relationship with food falls under the category of a process addiction, or an addiction to an activity; something you do. This means that in order to begin and maintain a healthy relationship with food, you must be fully committed to breaking old psychological processes and habits while creating new, beneficial ones. While it will be difficult, you can do it. Consider the following questions: Do you find yourself reaching for more even after you’re full? Do you notice that you eat whenever you’re stressed, anxious, or upset? How do you feel before, during, and after eating something? Maybe you find yourself overcome with obsessive thoughts about a craving or specific type of food–unable to truly settle down until you are able to fill that void. If any of this rings true for you, then you know firsthand that the struggle is real–but you are not alone. There are thousands of people that carry the same burden of guilt and shame that you do; it is a very real, distressing affliction, and you are allowed to feel overwhelmed with varying emotions. Those emotions, though, when pushed away and numbed instead of being recognized, can bottle up and intensify over time, making treatment and true recovery more difficult. There is a good chance that with a little thought, you could probably pinpoint the general time when you started to develop your unhealthy relationship with food. Maybe it was sexual abuse, maybe it was a bad relationship gone worse, maybe you lost someone you loved dearly. Food made that pain go away a little bit, and anything that made you feel better, you would welcome. Even though masking pain is normal and natural, full recovery will lie in discovering the trauma that is behind your addiction and dealing with the heavy emotions it bore. While it may feel like you are alone, there are many people who face the same day-to-day struggles that you do, like Amy–she was in an abusive relationship with her ex-boyfriend for over two years. After he finally moved out of her apartment, she was left with unattended pain and emotional strife. Amy noticed that when she gave into her food cravings, she wasn’t thinking so much about what he put her through–which was hell and back–and eating felt a whole lot better than dealing with really awful memories. Fortunately, Amy realized that her dependence on food was becoming extremely unhealthy and that she needed help overcoming it–but she couldn’t do it alone. Once she fully committed to treatment and growth, she was able to discuss and address the co-occurring trauma and anxiety that fueled her addiction. In allowing herself to recognize and truly cope with what she had previously bottled up, Amy was able to release negative feelings about herself–and begin a new chapter with food. While going through treatment may be the most difficult thing you ever do, your health is precious–and you have too much life to live without having to worry about feeling trapped. Confronting the deep-seated issues from your past, reliving a traumatic event, and recognizing the emotions that have accompanied them is really scary, but will gradually unlock the inner peace and freedom you’ve been waiting for. Even when this process seems overwhelming, stay strong and hopeful–a healthy you is possible. At Alta Mira, there are abundant options and resources available to aid you in your addiction recovery, including both inpatient and outpatient programs, in addition to varying styles of therapy and activities. It is important to remember that recovering from an addiction will be an ongoing journey, but it is one that you can handle with the right treatment. Food addictions and unhealthy emotional binge eating are to be taken just as seriously as any other process addiction; don’t let embarrassment prevent you from getting the help you need. Everyone deserves to feel “normal” when it comes to basic human functions–and you are no exception. When dealing with food addiction, treatment is possible. Alta Mira aims to provide consistently effective and varied healing options for whatever addiction you or your loved one might be struggling with. We take pride in creating a safe, open community, and encourage family involvement and cooperative learning so that a support system always remains at the base of your recovery. If you want to change your life for the better or want to learn more about our treatment options, contact us at any time.